Morgan Dollars are one of the most popular series in United States coins. So popular in fact that many numismatic references have been written about them. 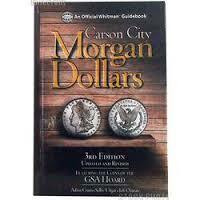 The most romantic part of the story of the Morgan Dollar, in my opinion, is the story of the Carson City Mint. Collectors romanticize this particular part because it’s set in the days of the old Wild West. Frontier days of America that conger images of saloons, and bad guys, with Sheriffs and Marshalls to keep the peace. Your average life in spaghetti westerns, except the stories were real. The Comstock Lode dictated a United States Mint in Carson City, Nevada and that Mint would turn more of its silver into Morgan Dollars than any other coins. Ironically, the Mint at Carson City didn’t coin Dollars in the quantity of either of the other two branch Mints of its time, New Orleans and San Francisco, and Philadelphia production of almost every coin dwarfed the branch Mints’ production. I think it’s interesting that Gold of the time was minted close to where it was mined, but the biggest deposit of silver in the US was shipped to other Mints to be coined. Crum, Ungar, and Oxman begin their guide to CC Morgans by telling the story of the Comstock Lode and the history of the Carson City Mint. Although Morgan Dollars were not the first Dollar coins struck at Carson City many collectors would likely not know this fact. The authors have done good work to include this part of early Carson City Mint history that often times falls “through the cracks” of numismatic lore. People love Carson City Morgan Dollars, and they comprise the most important part of the history of the Carson City Mint, but often I find that they are the “golden child” of this Mint’s products. Many other denominations were struck at Carson City. The authors strike a nice balance in presenting history, but not straying from the main target of interest. In all, they include two chapters of history and background. More than most Morgan references. Illustrations are ample and nicely set the tone in this book. Offerings include drawings of Anna Willess Williams, the woman whom the obverse of the Morgan Dollar is modeled after, as well as contemporary photographs of the Mint and important people of the era. And then the book gets really good! The remainder comprises the bulk of this book, and it is a proper thorough reference that covers every CC Morgan Dollar date by date. Statistical information includes: mintage numbers, how many were in the GSA hoard, what percentage of the total GSA hoard they comprised, how many were not designated due to scratches/toning, etc., GSA Overall rarity ranking, NON-GSA rarity ranking, and how available each is in proof-like or DMPL. The authors also formulate what they call a “condition census”. I really like this statistic. It considers the top 50 graded examples and gives you a grade at which that occurs. So, if you want to have one of the top 50 1880-CC Morgan Dollars in a GSA case, you’d be looking for an MS-66. For PCGS or NGC non-GSA slabs, the top 50 coins are all MS-67 or better. A really valuable bit of information for collectors of all skill levels. VAM collecting is an area of strength in this reference. Each date is broken down for the reader in a catch-all generic sense, and then VAM by VAM with beautiful, clear color photos of each coin, in most cases graded by NGC in the original GSA holder. The depth is impressive and may be the finest quality of this book. I don’t collect by VAM, and many others don’t, but the information is unobtrusive to the reader. It’s not something that you have to wade through to glean what you want. This is not say that it’s lacking either. The treatment given to VAMs is not too much for the non-VAM collector, and not too little for the VAM collector. In my opinion, it’s just right. Collector Insights and Variety notes round out each date and provide entertaining but informative reading. Two appendices at the end of the book provide a checklist for the CC collector who wants to complete a set, and a population report from NGC for the series VAM by VAM from, MS-63 to MS-67 DMPL. I would place this book in the “must-have” category for CC Morgan Dollar collectors. An amazing amount of entertainment and information packed into less than 150 pages, this book isn’t the size of the OED . It will, however, compete with many of the big references in the arena of CC Morgan information. If you collect CC Morgan Dollars, whether generically or by VAM, you will find yourself reaching for this reference time and again. Its value far in excess of its cover price, I would place this book among one of my favorite reads, and a reference worth adding to your collection. Liked it? 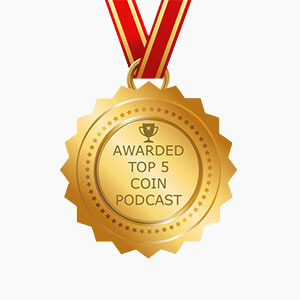 Take a second to support The Coin Show on Patreon! Mike Nottelmann has contributed 76 entries to our website, so far. View entries by Mike Nottelmann. Support The Coin Show on Patreon! © 2019 · The Coin Show.